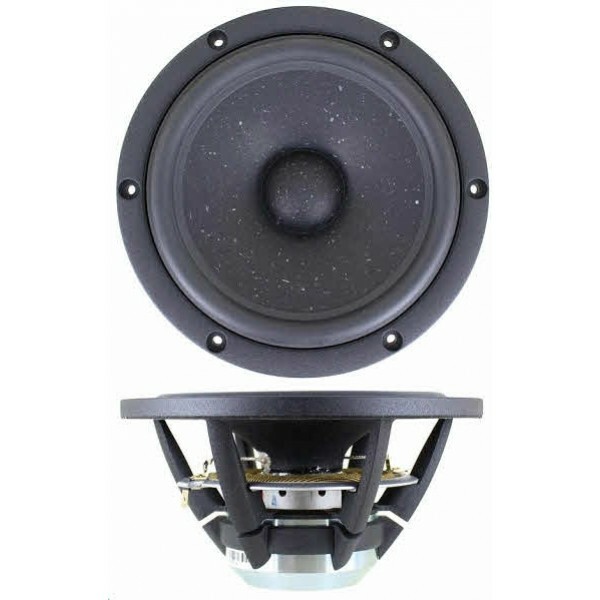 SB Acoustics Satori MR16P-8 Midwoofer is a State of The Art Neodymium magnet 6.5" 8ohm midrange, featuring a proprietary Papyrus Paper cone, a soft low damping optimum response rubber surround, BiMax spider, and a glassfibre former with copper sleeve pole piece. Mode balanced cone to reduce break-up. Fitted with a 1.5" voice coil. Very open cast frame for minimal reflections. Extended copper clad pole piece for lower distortion. Fs 32Hz, and a fabulous level wide response curve level midrange response, a very flexible unit.